Are you the importer? What if you’re a broker? What are the actual contents of a verification program? 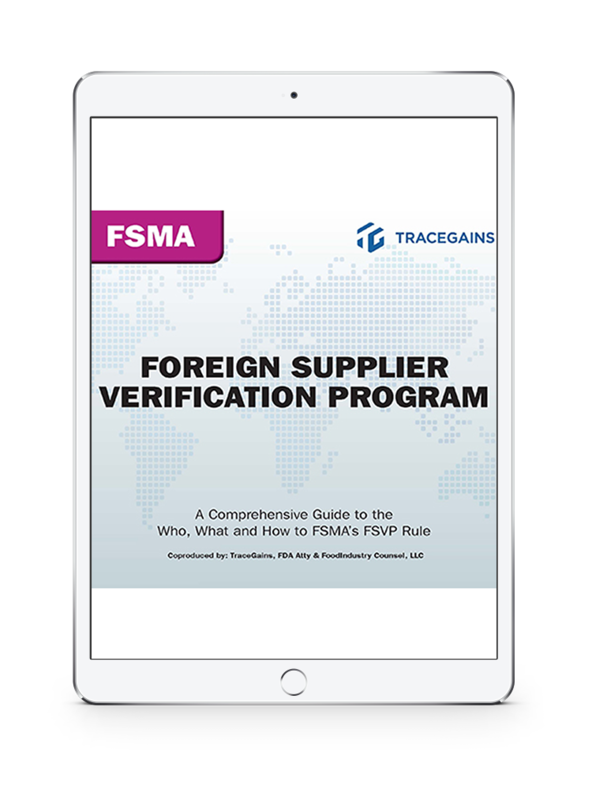 To help answer some of these and many other lingering questions surrounding the FSVP rule, TraceGains enlisted the help of Marc Sanchez, regulatory attorney specializing in FDA and USDA law, and Shawn Stevens, a global food safety lawyer, to provide insight and break down some of the confusion with a few real-world examples.